Kate Moss ''loves'' being able to work with her ''oldest friends'' in the fashion business because it makes her working day more fun. Kate Moss ''loves'' being able to work with her ''oldest friends''. 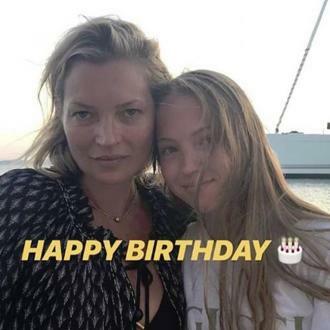 The 43-year-old supermodel has admitted she still enjoys her job because she is able to join forces with her pals, which always makes for a ''fun'' day for her. The catwalk icon has also set up her eponymous modelling agency, and she enjoys being on the ''other side of the camera'' and working with budding models. The style icon has admitted her ''maternal side'' comes out when she is working with new talent because she wants to ''nurture'' her colleagues, instead of seeing her models ''used up and tossed out'' by other agencies. And Kate has revealed she too received guidance and support from her friend and fellow model Naomi Campbell when she was young, and the brunette beauty would always encourage Kate to ''calm down''.